Our Average Daily High Temp for Michigan in February is 31°. I look at February as the pre-gardening month. Even though it is still cold in the northern states in February your gardening activities are starting to begin. Maybe you will see your first blooms later this month, if you’re lucky. It is always beneficial to clean you gardening tools at least once during the year to keep them working properly. Since the beginning of February is still cold, this makes it an excellent time to do this. Many of the same garden pests you see outside during the summer can also attack your indoor plants. Check all your indoor plants for pests during this month. If any of your house plants need to be potted into a larger container, now is the time to do it. Get this done now because soon your garden activities will turn to outdoor activities. If the cold weather breaks during this month remember there is more cold weather to come. Some of your early spring flowering bulbs may think spring has arrived. If you see some of your plants beginning to grow make sure to cover them if the weather turns cold again. Once the weather moderates, remember to uncover them again. If the ground is soft enough, it is an excellent time to start transplanting your deciduous shrubs and trees. They must be transplanted before their buds begin to swell. You can also begin dividing any perennials that you wanted to divide or move. You can refer to the garden plan you created in your previous months activities. This will not only help you locate them, but also help you remember where you wanted to plant them. 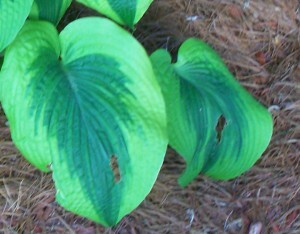 Most perennials must be divided before the new growth begins to appear. February is an excellent month to start pruning your trees and shrubs. Pruning does not only help shape your plants, but helps create good air movement in and around your plant. Make sure to remove all old or dead branches first then decide which other branches need to be removed. If you are pruning your flowering shrubs make sure you do not prune any shrubs that flower on the previous season’s growth. Otherwise, it will result in lost flowers. General rule of thumb, if your shrub flowers in spring or early summer it probably has already produced their flower buds. These shrubs should be pruned after they flower. Ornamental Grasses can add winter interest to the garden during the time of year many plants cannot. I encourage our customers not to trim them until late winter. If you have not trimmed your grasses down to the ground, do so soon. You do not want the new growth starting while the old foliage is still standing. It makes for a slow start, especially if you end up trimming the new growth while removing the old. If you plan to start slow growing annuals such as lobelia, ageratum, verbena, petunia and vinca from seed, this is a great time to sow them. Remember to keep them warm and moist until the majority of the seeds have sprouted. Some seeds may require higher light levels to sprout, so a south or westward facing window should do the trick. Lastly, continue to feed the birds. It can still be hard for them to find food on their own, during these late winter months. Soon they will have plenty to eat, but until then keep them happy. The type of feeding damage to garden plants varies widely by the type of insect feeding on the plants. Insects with chewing mouthparts most commonly cause the leaf tissue to be consumed or destroyed. Some insects have piercing-sucking mouthparts, which cause the leaves to appear stippled, spotted, or distorted after feeding. Here are some brief descriptions of the injury commonly caused by various garden pests. Caterpillars and cankerworms often consume the entire leaf. Leaves with only the margins consumed, are likely to have been eaten by black vine weevils or leaf cutter bees. Japanese beetles often cause the leaves to appear skeletonized. Leaf rollers cause the leaves to become rolled. Some insects, like leaf miners, mine between the upper and lower leaf surfaces, leaving a visible path referred to as a mine. Many insects such as Japanese beetle larvae or chafers prefer to prune or girdle plant roots. Borers and bark beetles make tunnels under the bark of woody plants. Leafhoopers, plant bugs, and mites cause the leaves to appear spotted or mottled with small dots. Aphids cause the leaves to become distorted. Other insects such as wasps and midges cause small galls, or swellings on the stems or leaves. Once you see signs of insect feeding injury, it is helpful to identify the pest causing the damage. Since most insects prefer to feed on tender new growth or recently expanded leaves, look there first. Look for both insects and eggs on both the upper and lower leaf surfaces. Next, look at the leaf petioles and the stems. Finally, look at the leaf buds (growing point) and flowers for the presence of possible pests. The first line of defense is to grow healthy plants; by providing plants the care they need to remain healthy, they will be naturally more resistant to insect feeding. Mother Nature is the second line of defense as there are a great number of beneficial allies that consume of parasitize insect pests. However, there are instances when pest populations escalate even with the first two lines of defense are in place. In these instances, a third line of defense, such as the application of environmentally safe pesticides, may be necessary. There are a number of biological and botanical pesticides, such as insecticidal soaps, that are effective at controlling various insect pests. And finally, as a last resort when biological control strategies are not effective, it may be necessary to apply insecticides to control the pest population. Insect control in the garden involves a well-rounded approach that includes good garden practices, prevention, and biological or chemical controls when needed. When such a strategy is in place, garden plants will remain comparatively problem free and appear beautiful year after year.